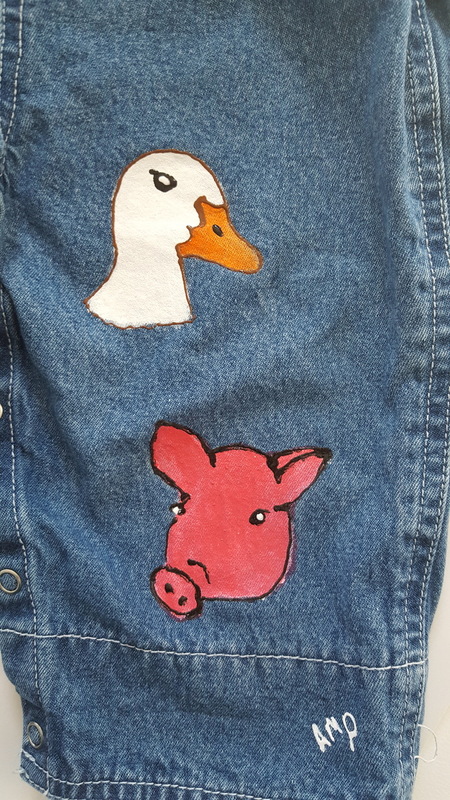 Colorful farm animals to make it extra special. 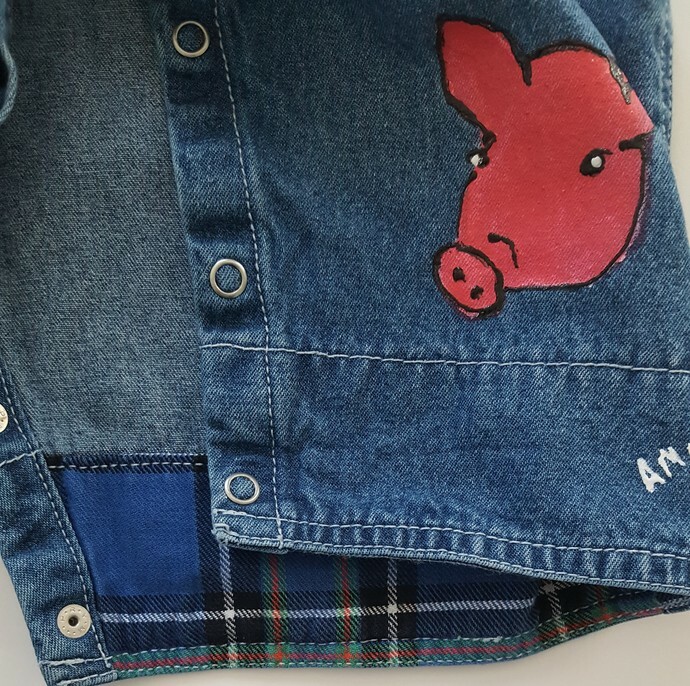 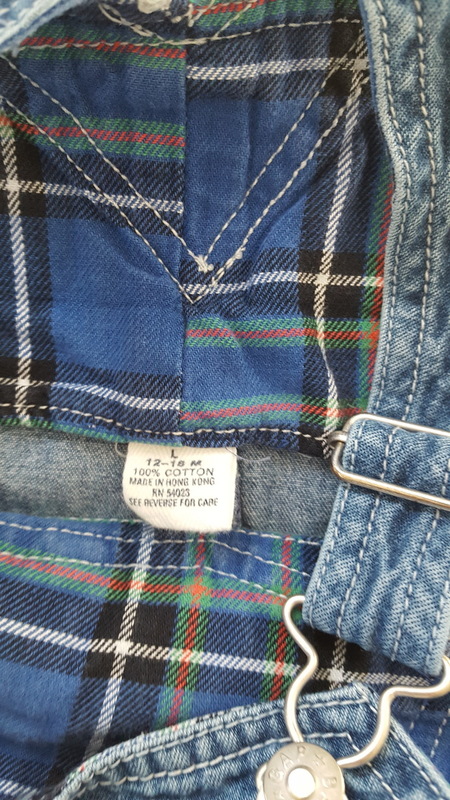 Overalls have colorful blue plaid partial lining. 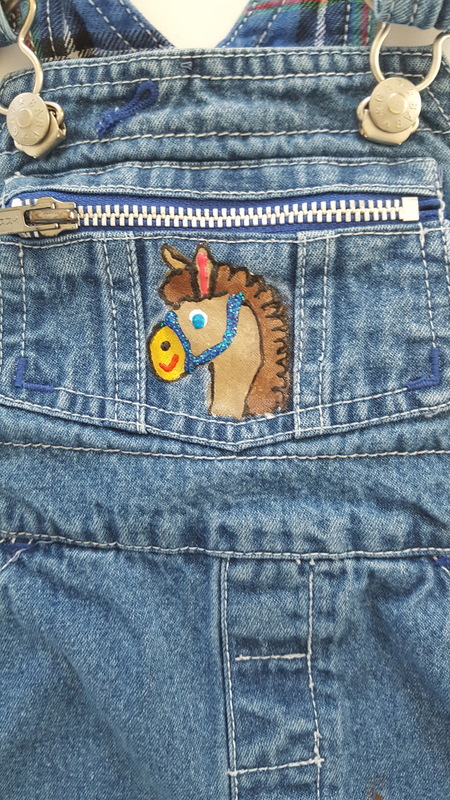 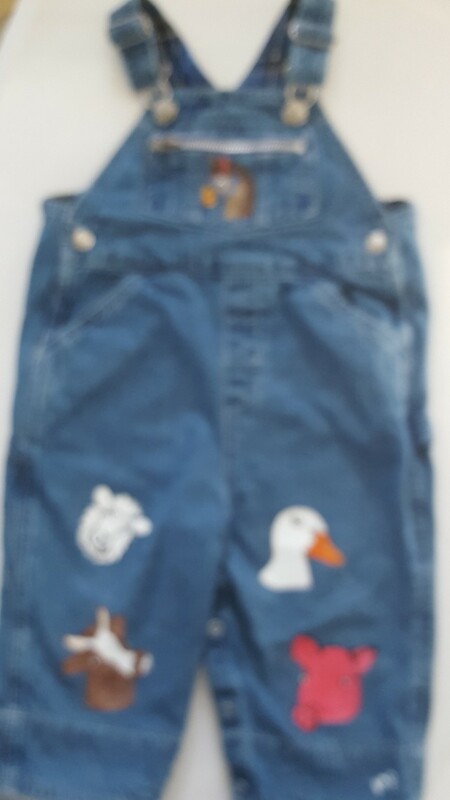 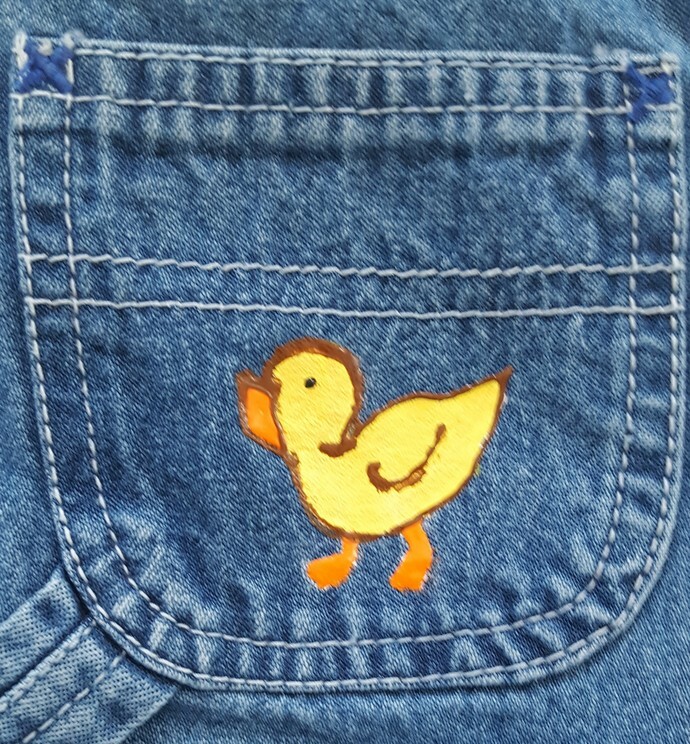 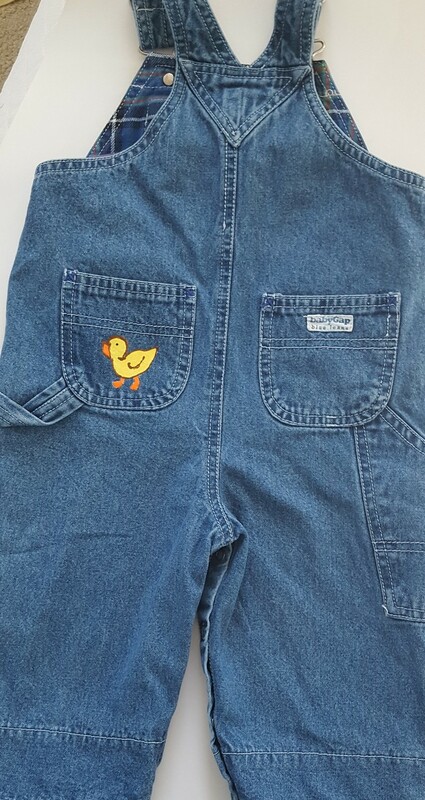 This is a recycled product, the original overalls are an "Baby Gap" brand.